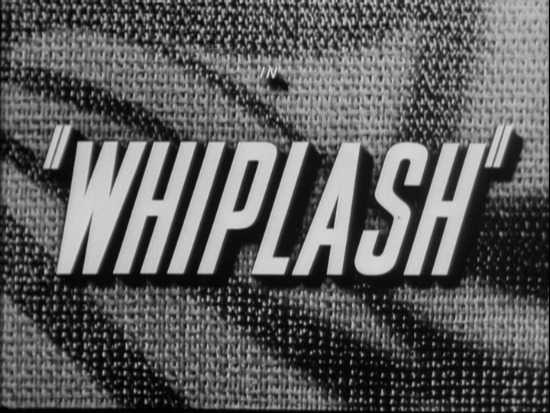 “Whiplash” is the kind of routine film Warner Brothers pumped out weekly back in the 1930’s and 1940’s, the days before a television was standard in everyone’s home. Not saying this is as a bad thing or that “Whiplash” is a bad movie. It’s like the old saying goes, “They just don’t make’em like this anymore.” Now, no one is going to make the argument this is a great film, but with that said, it does keep you interested despite its flaws, specifically a script that at times stretches the imagination in the believability department. Dane Clark is a poor California artist named Mike Gordon who gets hooked on a tantalizing mysterious woman named Laurie (Alexis Smith) whom he met after finding out she bought one of his paintings. He convinces her to go out on a date and quicker than you can cook a three minute egg Gordon has fallen in love with the dame. Soon after, Laurie hastily, without a word, heads back to New York City only telling Mike they should not get involved. But Mike is already neck deep in love with her and follows his heart to the east coast. In New York, Mike discovers Laurie is married to Rex Durante (Zachary Scott), a one-time top boxer heading toward a championship belt prior to a life crippling injury that left him wheelchair bound. Durante is a shady character with unscrupulous friends like Costello (Douglas Kennedy) who will do the dirty work for him. When Mike finds Laurie, she quickly tries to warn him that it’s best he forget about her. But our boy is insistent, and after he is further warned off by a couple of Durante’s thugs, a fight starts with Mike quickly knocking out one of Durante’s boys who just happens to be a boxer. Realizing he might have a champ on his hands, Durante, now a boxing promoter, offers Mike the opportunity to train and become the champ his injuries denied him. Mike accepts, despite the warnings from Laurie. They even change the artist/boxer’s name from Mike Gordon to Mike Angelo, a play on words salute to the Italian master of the Sistine Chapel. Laurie is obviously unhappy married to Durante, but she stays with him, bowing to his every demand. What’s tying her to this slug? Well, we soon find out, but meanwhile Mike learns to box, after getting the crap beat out of him the first time in the training ring. He learned quickly and heads right to the top and toward the championship Durante always wanted for himself but was denied. The climatic ending is well done with the wheel chair bound Durante getting his just due. Despite the boxing, the romance between Mike and Laurie is what’s up front, but crime fans don’t despair, there is plenty of noirish atmosphere which grows as the film progresses thanks to cinematographer J. Peverell Marley. This is a good thing because the direction by Lewis Seiler, who is arguably best known for “Guadalcanal Diary,” “Dust Be My Destiny” and “Crime School,” is rather pedestrian and straight forward lacking any flare with the camera. Dane Clark, who had some training as a fighter early in his life, was along with Cagney, Bogart, Raft and Garfield, a staple in the Warner Brothers list of “tough guys.” Unlike the others, Clark never got the one role to define his career however, that takes nothing away from his talent. His female co-star was the gorgeous and leggy Alexis Smith. 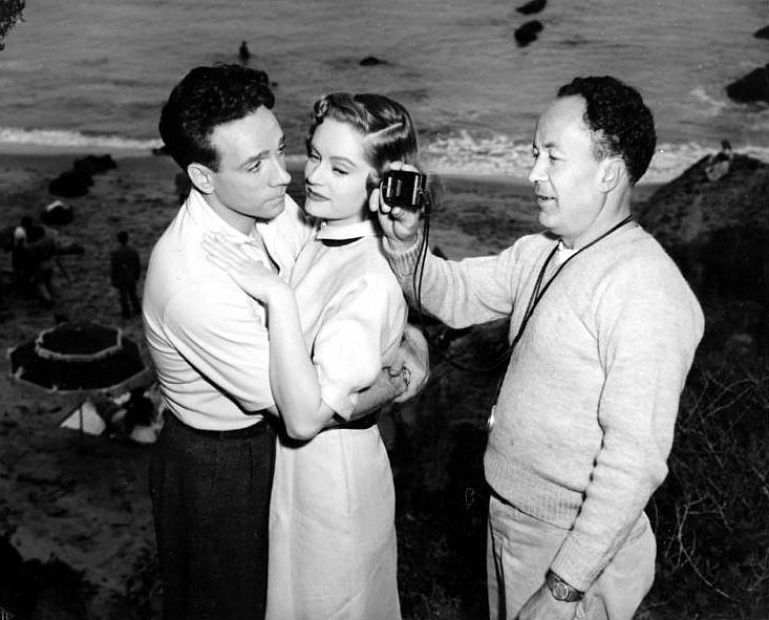 At 5’9’’ she towered over some of her male co-stars. If you pay attention, you will note there are some scenes in this film where it’s obvious the lovely Alexis is taller than Clark. Smith alos gets to show off not only her acting and her figure, but her singing talent. Something she did in far too few films. 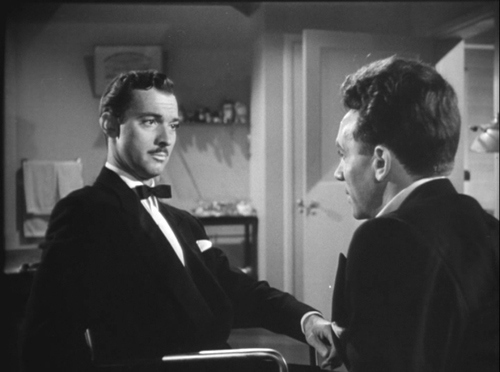 The supporting cast adds to the film’s color led by the ruthless Zachary Scott and the aforementioned character actor, Douglas Kennedy, who sports a nasty looking scar below his left eye. There is also a nice comic turn by Eve Arden as a neighbor of Mike’s in New York and has eyes for the artist, but soon realizes he only has eyes for Laurie. Jeffrey Lynn, Alan Hale, and the always enjoyable, S.Z. Sakall round out the cast. The screenplay was written by Harriet Frank Jr., best known for her work with her co-writer and husband, Irving Ravetch. Together they corroborated with director Martin Ritt on eight films including “The Long Hot Summer,” “Hud,” “Hombre,” “Conrack” and “Norma Rae.” “Whiplash” was one of Frank Jr. earliest efforts. This entry was posted in 1940's, Film Noir and tagged Alan Hale, Alexis Smith, Dane Clark, Douglas Kennedy, Eve Arden, Jeffrey Lynn, Lewis Seiler, Zachary Scott. A great cast, like a roomful of old, if sinister, friends, and as you say, one of the Warner Bros. workmanlike films. I had wanted to see it for a long time, and finally caught up with it recently. I really enjoyed it, and your post. Thanks Jacqueline! I enjoyed it also and the cast as you mention is great. I have to say Warner Brothers in the 30’s and the 40’s was my favorite studio. The grittiness of the stories, the hard hitting style and the Warner actors I always preferred to the gloss of say MGM. Alexis Smith deserves more recognition than she receives. She had such talent. She did and she is good in this giving off a certain aura especially in the begiinning. Thanks!!! The performances by the cast, borh leading and supporting, are surely part of the fun. Seeing this on a big screen sure had to be fun. As for modern movies, I actually thought 2013 was a very good year, lots of good stuff, and I will actually be doing a top list for 2013 in a few weeks. Still have a few films to catch up on. Thanks Laura! What a great review but imagine my surprise when I got into the bones of it and realized the film isn’t about a low speed car accident and the ensuing civil suit. HaHa Couldn’t resist, John. Such an odd title. I actually saw this film with mother mother many years ago. She’s a huge fan of Dane Clark. I had actually forgotten about it until I saw the title here. Enjoyed getting your thoughts on it. Thanks Page! Yeah, I too don’t get the title and how it connects to the story. I honestly never heard of this film until it popped up on TCM recently. 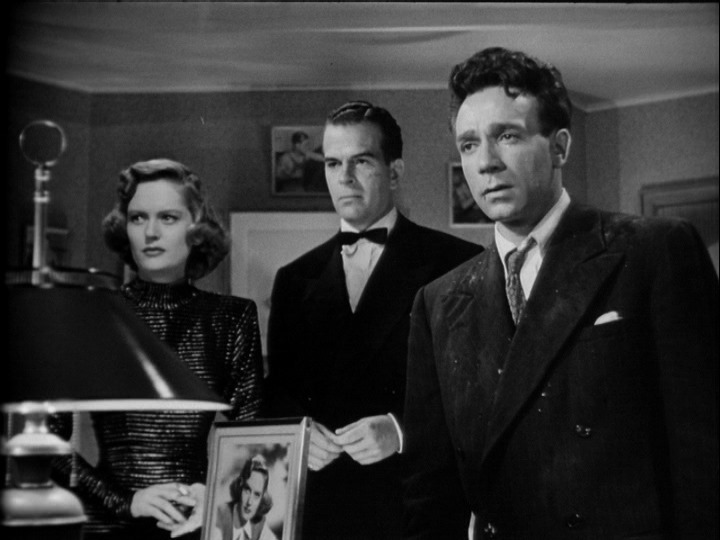 Sounds like an interesting noir, John – I see this one is out on Warner Archive. I haven’t seen much of Dane Clark’s work but will watch out for this. Enjoyed your piece as always. Thanks Judy. I think you will like this one when you get the chance to see it. I have only seen a few Dane Clark films myself. Wow, it’s out on Warner Archives? I always have a weakness for those releases. i haven’t seen it but appreciate John’s superlative review. Warner Archives has it and I think they got a sale going on! It’s certainly worth watching. In one way, it reminded me of GOLDEN BOY, in that, we have an artistic individual, Holden plays the violen in GB, and Clark is a painter. In both cases, the men turn to boxing and of course a woman is involved in each film.., And btw, don’t forget Eve Arden is in this too. She has some great lines.